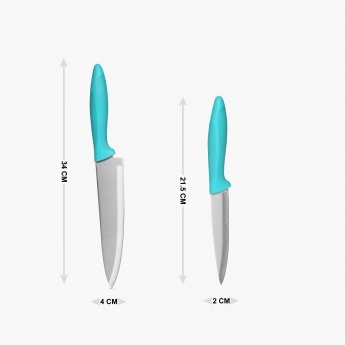 Wilford Knife Block Set- Pack Of 6 Pcs. 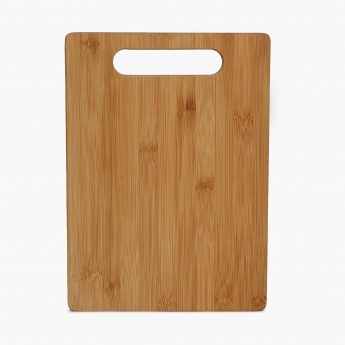 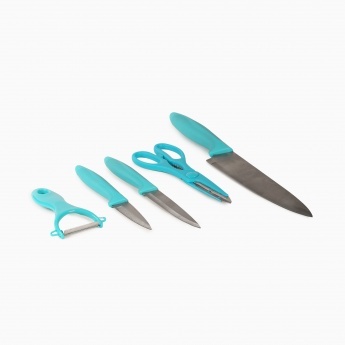 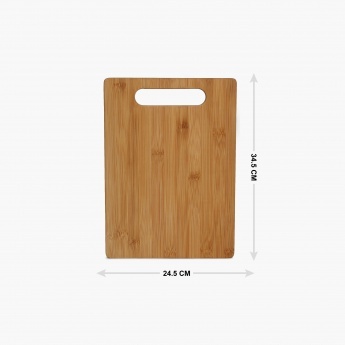 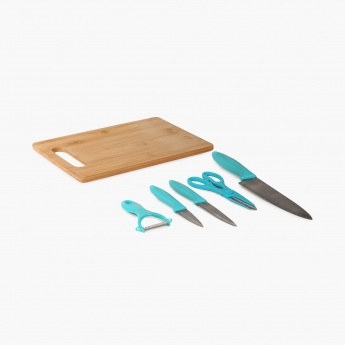 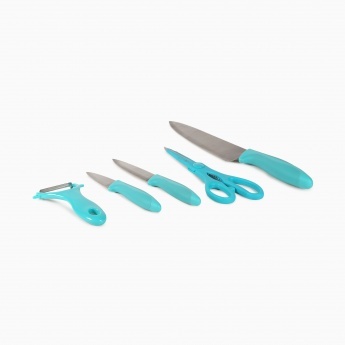 It has a sturdy & durable sleek cutting board with outstanding value set. 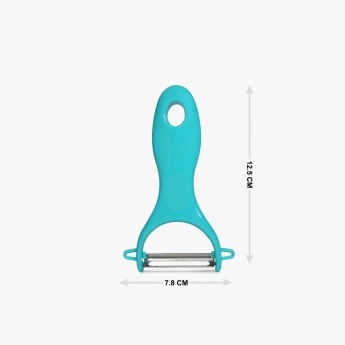 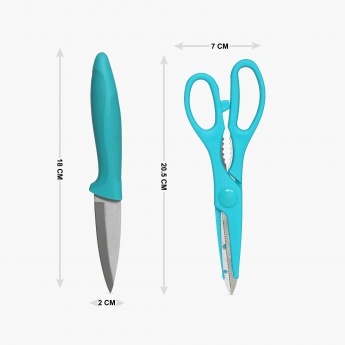 It has an easy grip ergonomic handle and is easy to clean and maintain. 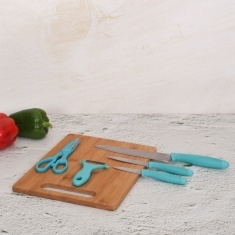 It also features a non-porous & anti-bacterial cutting board.